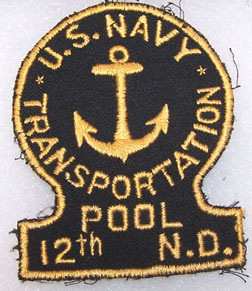 WWII 12th Naval District Transportation Pool Patch. Three and three quarter inches tall. Hand embroidered details on black wool. Used.